From food to table settings and everything in between we’ve got you covered! Let your mom or wife know how much you love and appreciate her with a Mother’s Day that she will never forget. Below are a few ideas for creating the most beautiful and delicious brunch. 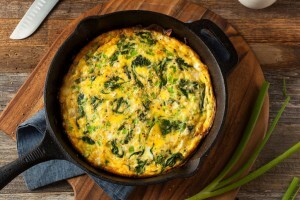 Top the frittata with slices of ham and place the skillet into the oven and cook until completely set, 1 ½ minutes. 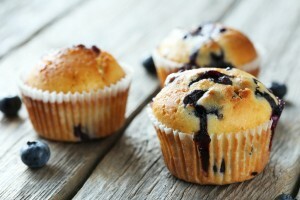 Muffins are always a breakfast fan favorite because they can be made in so many different flavors and varieties! Make the same base and add whatever your heart desires! Preheat the oven to 375 Fahrenheit. Butter muffin pans. Add the egg, milk and butter, stirring only enough to dampen the flour, batter should not be smooth. Spoon into the muffin pans, filling each cup about 2/3 full. 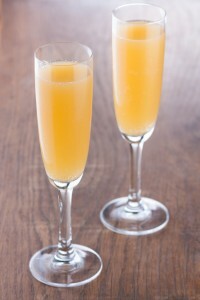 The Baby Bellini is the non-alcoholic take on a Bellini. It’s perfect for children and adults alike! 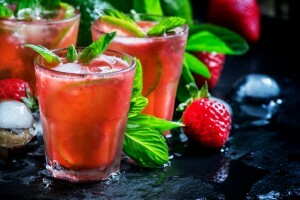 The Strawberry-Mint Sparkler (Non-alcoholic) combines juicy strawberries with tart lime and bright mint. Its light, delicious and with a beautiful pink color, how could mom resist? In a cocktail shaker, combine strawberries and lime juice and muddle until strawberries are dissolved. Fill a glass with ice and add club soda. Fine-strain cocktail into a glass and stir gently. Now it is time to make your Mother’s Day brunch even more special. 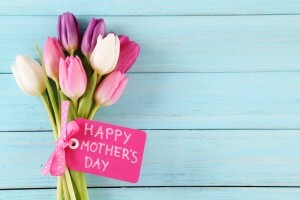 Ambiance is very important so we are here to give you a few tips on little things you can do to make mom’s heart melt! 1. Place cards with a photo. There is nothing mom loves more than adorable pictures of her children. This is the perfect way to display pictures as well as get her to reminisce on all the amazing milestones of being a mom. 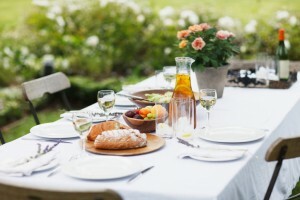 If the weather allows and your backyard is set up for entertaining, dining outside is the perfect setting to have a beautiful gathering. If you don’t like flowers or have hungry guests to feed, making your own fruit bouquet is a great option! Cut fruit into shapes using cookie cutters, dip in chocolate, and add a stick into it. Arrange these sticks in a form base and voile! You have a fantastic and impressive fruit bouquet! If classic flowers are more your style for the perfect centerpiece, try these tips to make them extra special! Nothing says “I love you Mom” like giving her a bouquet of her favorite flowers! 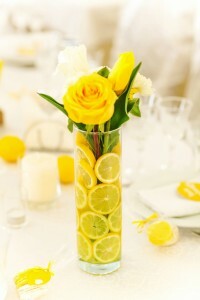 By adding orange or lemon slices to your vase of flowers, it gives your centerpiece a bright touch!